Woody Allen's late career diversion into light comedic travelogues continues. This time we find the iconic auteur parked along the French Riviera where he presents us with a shiny little bauble that's light and pretty and completely disposable. In recent years the Woodster has left his New York neighbourhood to take us through such picturesque locations as Venice, Paris and Barcelona. 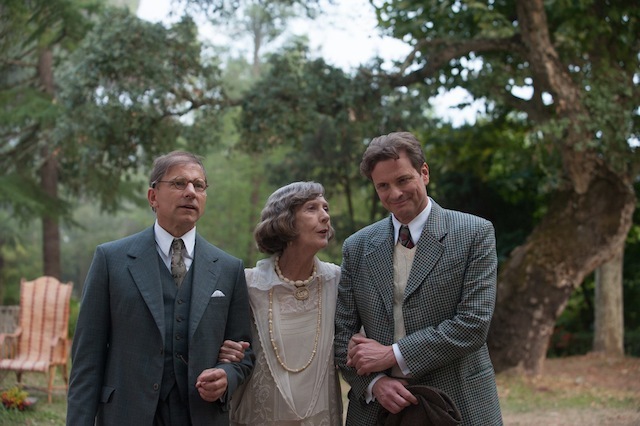 With the exception of last year's Blue Jasmine, his recent films have been frothy little confections that don't hold a candle to his best work of the 70s and 80s, and Magic in the Moonlight is very much in this vein. It's playful and sometimes witty, but without much substance. The story is set in the 1920s, a period that continually allows Allen to indulge in his love of traditional jazz. Stanley Crawford (Colin Firth), is a successful English magician, performing as Chinese conjurer Wei Ling Soo. He is an atheist to the core, an unbeliever in spirituality and delights in debunking fraudulent clairvoyants and mediums. He takes time out from his stage tour to help an old school chum (and fellow magician) expose a young American, Sophie Baker (Emma Stone), who's currently convincing wealthy Anglo families along the south of France that she can contact their deceased relatives. Upon meeting her, Stanley is at once stumped by Sophie's apparently genuine psychic gifts and is just a little bit smitten by her. He finds himself questioning his own convictions that what can't be proven by science does not exist. Slowly his cynicism of the occult crumbles. Allen retains a light touch throughout. Everything is played for laughs, with little attempt to give the characters much depth. The film's strongest point is the dialogue, most notably when Firth's pompous Stanley is drily spitting out insults. He plays the part with relish. Equally good is Stone with her wonderfully big eyes and expert comic timing. Their scenes together are a lot of fun, despite the age difference (another constant in Allen's films). The real ace in the cast though is the always excellent Eileen Atkins as Stanley's Aunt Vanessa. Her knowing, wry delivery is the best thing in every scene she's in. This isn't Allen's best film, but it's not his worst either. He's got himself into a pleasant groove and seems content to stay there.